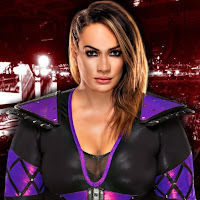 Nia Jax defeated Alexa Bliss to become the new RAW Women's Champion at tonight's WrestleMania 34 event from New Orleans. This is Jax's first title reign in WWE. Bliss won the title back on the August 28th, 2017 RAW with a win over Sasha Banks.